Our home is a charming two bedroom apartment. 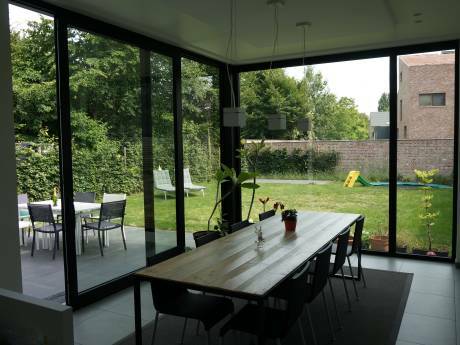 It is located in a very trendy residential area (Commune of Ixelles/Uccle) next to Avenue Louise. 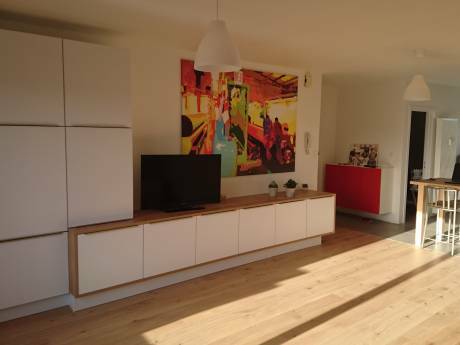 It is very spacious - about 130 square meters - with big living room, separate kitchen, two bedrooms, separate bathroom and toilets. It is on the fifth floor (out of 6) of a building with an elevator with a beautiful view of Brussels. We have everything you need: fully equipped kitchen (incl. dishwasher and microwave), cable TV, internet, laundry (washing machine and dryer). It is quiet and safe and close to a shopping area with many restaurants and parks. It can easily accomodate a couple with 2 or 3 kids. Our area is famous for its accessibility to shopping (supermarkets and boutiques) and sightseeing places. It is very close to parks for nice walks, jogging and outside family activities. Famous spots in the neighborhood are Bascule Shopping Centre - 5 min walking -, Chatelain - 10 min walking - (restaurants and shops), Louise - 10 min walking - (trendy shops), Bois/Park de la Cambre - 20 min walking. 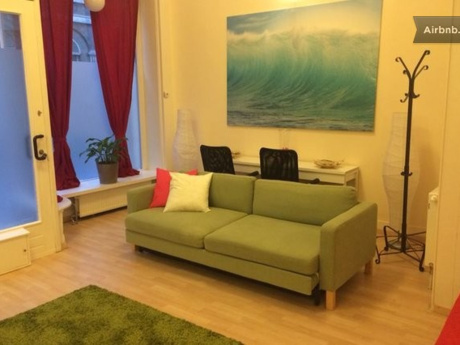 Easy access to public transportation (tramways and buses) going to the most famous touristic places such as the Grand Place and the Manneken Pis and main railway stations (20 min away). The neighborhood is very safe and quiet. We are Violeta (Bulgarian) and Alexis (French), a young couple living for already 5 years in the capital of Europe, Brussels, and working for American companies. We speak English, Bulgarian, French and Japanese and spend most of our free time travelling. We are open to non-simultaneous swaps.